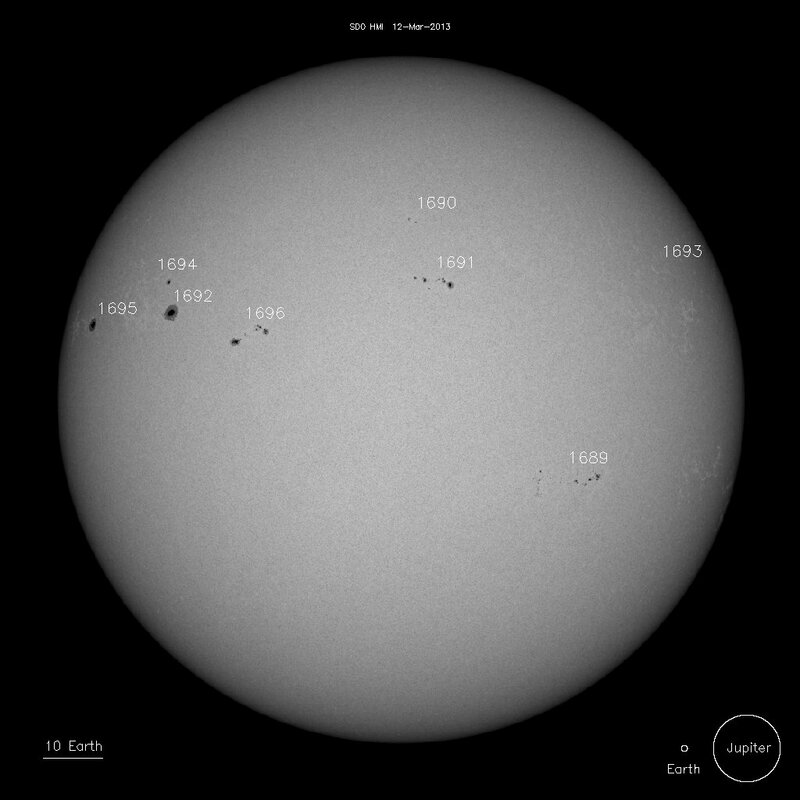 A long duration C-class solar flare erupted from Region 1690 on March 12, 2013. 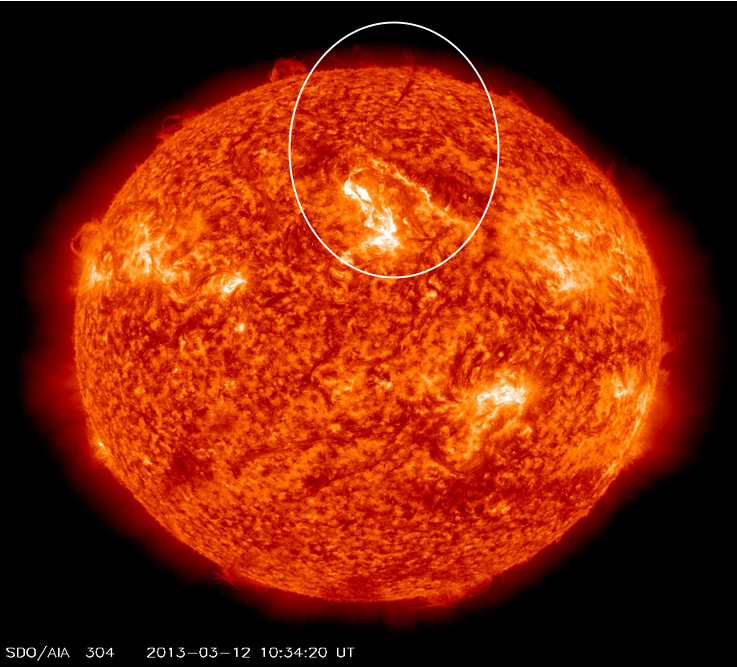 The event started at 10:17, peaked ad 11:06 as C2.0 flare and ended at 12:25 UTC. A Coronal Mass Ejection (CME) was produced. Region 1690 still has Alpha magnetic configuration, but its nearby Region 1691 is now Beta classified. Couple of hours later, at 14:16 UTC, Region 1695 erupted with C1.0 solar flare. On March 12, 2013 at 12:00 UTC there were 8 numbered active regions visible from Earth. Erupting Region 1690 has Alpha magnetic configuration same as regions 1695, 1694, 1692 and 1693. Active regions 1696, 1691 and 1689 have Beta magnetic configuration. Pay attention to centered Region 1696 as it rotates into more geoeffective position in the coming days. NOAA SWPC forecasters estimated there would be 15% chance for M-class solar flare and 01% chance for an X-class solar flare today.